You Leave That Nice Man Alone, Wolf Blitzer! Former Rhode Island governor Lincoln Chafee, a mild-mannered gecko whom I long to take home and place in a well-lit terrarium environment, did not perform well at Tuesday night’s democratic debate and will absolutely never be President. But Wolf Blitzer did not need to be so mean about it! 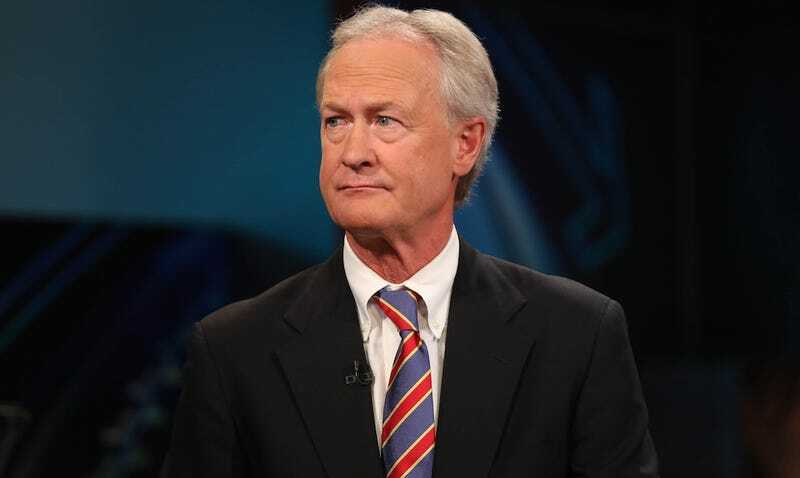 In a CNN interview on Wednesday, Blitzer told Chafee: “Because of your distinguished career, you’re going to wind up looking silly if you keep going on like this.” Well, true, and also, too late, but that is so hurtful! “I’m in it as long as I can continue to raise these issues. They’re important,” Chafee insisted. Before his interview with the CNN host on Wednesday, Chafee was excited. Hopeful. Smiling from one side of his center part to the other. He has not tweeted since.